The Dassanech is one of the many African cattle-herding tribes which live in the lower Omo Valley in southern Ethiopia. 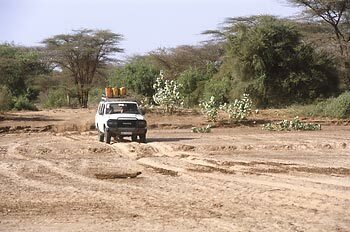 Their territory stretches to lake Turkana in the south, and to the Omo river in the west. We would like to thank our great driver from Arba Minch, who drove us everywhere, no matter how difficult the road, never complaining.